We are an environmental services company that specializes in fulfilling the needs of commercial properties in Brisbane, Gold Coast and Northern NSW. Chat to our experts today! Maintenance and Construction on Large Properties is Easier Than You Think! Anyone who owns or manages a large property knows how hard it can be to maintain. Commercial properties, acreages and developments with large lawns require ongoing maintenance and frequent care. 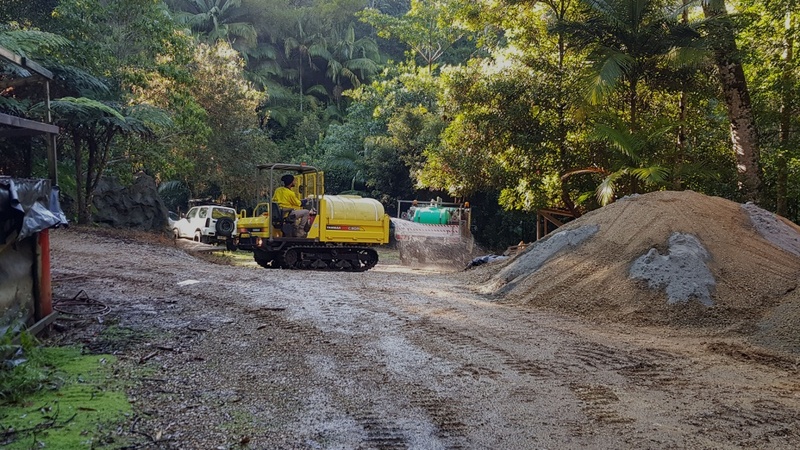 Let alone properties which back onto reserves, creeks and national parks that may require slashing, clearing, trail constructions or other works. Councils and local governments also have an additional requirement for safety of public grounds and frequently require environmental consultation for civil works. Without specialist skills and equipment, it can be both difficult and frustrating to complete the work required on commercial or large scale properties. Thankfully, you can hire our environmental and sustainability consultants to help! At Total Environmental Concepts, we are experts in helping ease the maintenance and safety headaches large scale properties bring. You can relax knowing that we have all the tools, insurance and experience needed to take care of ongoing maintenance tasks such as mowing, slashing, lantana removal and weed control. We can also assist with environmental construction projects and have a range of earth moving equipment needed for such projects. We are experts in offering commercial landscaping and environmental services with more than 38 years of experience behind us. We excel in working on projects completed for councils, local governments, developers and landscape architects. We are also a preferred partner for general civil works across QLD and NSW. All staff and operators of our machinery are fully qualified and licensed to work on commercial projects in Australia. We are also licensed to sell and relocate plants including the established Livistona palms we have for sale. For a full list of the services and environmental solutions we are trained in and licensed to provide, please read our Capability Statement. If you are looking for land management services for challenging terrains, look no further! Our specialized fleet of equipment enables our experienced team to provide a broad range of environmental services even for the most difficult terrains. With our machinery, we can complete projects requiring tree relocation, salvage services, acreage mowing, clearing of heavily overgrown areas and services on steep, sloped land among more. We are dedicated to achieving results and are proud to use only the best machinery to ensure the highest level of service and safety. Our equipment and specialized attachments are the highest quality available to landscape architects, developers, councils, and local government departments. In partnering with our clients, we offer a diverse range of innovative solutions for environmental services and landscaping and we rely on our range of equipment to achieve this. We own and operate a large fleet of earthmoving equipment perfectly suited to most commercial projects. Large properties often come with steep hills, overgrown sections and areas difficult to clear without specialist equipment like ours. That’s why we can offer services other environmental services companies aren’t able to. Not only do we partner with a broad spectrum of clients, we operate in diverse locations across the east coast of Australia. 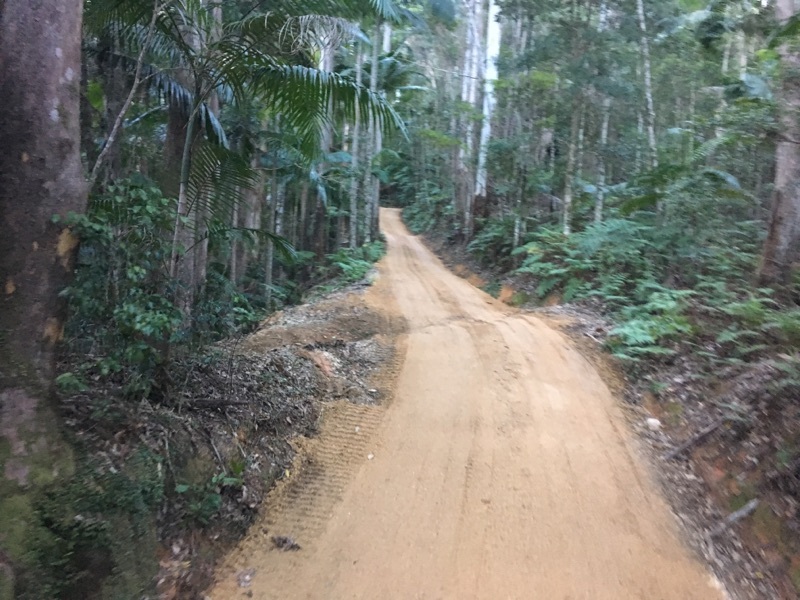 Based near Brisbane and the Gold Coast, we are easily able to travel to your project location in QLD and northern NSW and can travel further upon request. Not sure if your location is in our service area? Chat with our expert team about your project location and requirements, we’ll handle the rest. Start your commercial project with us today! If you’re looking to work with an environmental services company that has a track record of success, can provide their own equipment and are renowned for meeting client expectations on every project they work on, you have come to the right place. We have earned our reputation as one of the leading sustainability and environmental services providers in the industry. Over the years, we have worked on a number of commercial projects for council, local government, property developers, landscape architects and other large property owners. Based near Brisbane and Gold Coast, we also cover a large service area across Queensland and Northern NSW. No matter your project requirements or size of your land, we can help. There’s no job too big! Total Environmental Concepts are Queensland-based expert environmental service providers offering extensive knowledge across a broad range of environmental and landscape services. Our team provide services for government, council, commercial and residential developments across Queensland and Northern NSW. Total Environmental Concepts has carved a name as one of the leading environmental service providers in the industry. Our fleet of earth-moving equipment and specialised attachments allows us to offer services our competitors aren’t able to provide including advanced tree relocation and salvage services as well as advanced Livistona Palms (Livistona decora) upon request (which are for sale under strict government licences). We partner with a broad spectrum of clients, in particular, environmental service providers, landscape architects, landscapers, developers, councils and government departments and tailor our services to each situation, working in diverse locations across the East Coast of Australia and adapting to each project’s individual requirements. Our specialised fleet of equipment enables our experienced team to provide efficient land management services including the most challenging of terrains. Total Environmental Concepts are dedicated to results and are proud to use only the best machinery to ensure the highest level of service and safety.